This paper develops the case for a currency issued by a local authority and proposes a contract where a land levy is paid to council in exchange for local dollars to assist would-be purchasers to buy land. It addresses both land and money together. It argues for a currency that has a built-in incentive to circulate fast. It will supplement the existing interest-bearing monoculture of a national currency. It introduces a local Citizen’s Dividend. Local currencies need to shift up a gear. It describes the probable effects of such a marked change in the scale of complementary currencies, where they are issued in millions rather than hundreds of dollars. It argues that such a currency will stabilise the price of property, cause new prosperity, move business towards sustainability, stimulate new industry, create new jobs and move to a low carbon economy. The knock-on effects on the central government are discussed. It argues for a smooth gradual introduction of this dual currency system linked to land. Involvement of Maori is essential from the beginning. 1. That, because land is not an ordinary commodity and everyone has a right to land, no one should profit from owning land. 2. That local government should have more power relative to central government. 3. That the health of the local economy and the health of the national economy are equally important. A win for one is a win for the other; a loss for one is a loss for the other. 3. That local government and central government should therefore be in constant negotiation with each other. They are friends not enemies. 4. That inflation and deflation are undesirable and must be strenuously avoided. 5. That homes should be more affordable and there should be a higher rate of home ownership. 6. That wealth should be more evenly distributed among the citizens. 7. That taxing earnings, enterprise and spending is counterproductive. 8. Farmers should be farming for food growing and not for capital gains. 9. In the face of financial and environmental crises and resource limits we need to have a scaled-up local currency so this is a golden opportunity to design a currency with a circulation incentive. 10. Dual currencies supplemented by many smaller local currencies like timebanks and LETS bring stability, resilience and prosperity. 11.Those who hold the land in trust and make it more productive or improve the buildings on it should be rewarded by the system, never penalised. 12. With the global financial situation unwinding fast we are facing a future of a diminishing money supply yet a declining purchasing power, in other words a long depression. 13. We are living in a cauldron of threat yet in an exciting time of creativity. Currently 98% of the money supply of a country has been issued by private banks at interest. Most of this money is issued as mortgages; so overseas-owned banks currently have a claim on a large proportion of New Zealand’s homes and farms. And it also means money is deeply implicated in the conversion of the commons to private property. Banks benefit from the rise in land prices because they are always lending more and more and property is the security for their mortgages. 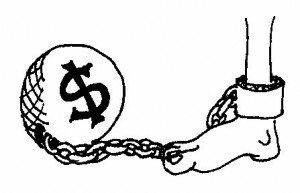 The monopoly money system brings instability, partly because of growing debt. Banks are owed $173 billion worth of mortgages in NZ. We need to stabilise the price of land. When the price of land increases over time those who own property gain when they sell it. So excess money in the economy currently tends to go into speculation in real estate. Lured by bank promises of big loans and helped by a tax system that encourages property ownership, investors are buying second and third homes. This is no good for productivity. According to the Productivity Commission Dec 2011, average section prices tripled from $50,000 in 1992 to $150,000 in 2007, a fifteen-year period. But the rises in property values are not because of the effort of a landowner. It is the efforts of the surrounding community that causes the value of the land to rise. When a new railway is built the land near it rises in value. When a new business comes to town the land rises in value. The windfall should not therefore be the property of the landowner but should be publicly captured. Property speculation has particularly profitable in the land surrounding growing towns and cities. However when property declines in value, the opposite happens. Banks refuse to lend, the prices are forced down and the economy shrinks. It would be much better if the price of land was stabilised. The combination of these sick systems has resulted in increasing wealth disparity, as wealth has concentrated with banks and property owners. If we fix the money system and keep it as a monoculture, but deal to the banks with a monoculture monetary reform, landowners will further aggregate wealth and there will be inflation. House prices rise dramatically. Fix just the land system and money will concentrate with banks. Banks will “row the economy” between tight money and easy money causing booms and busts. They put up interest rates for “riskier” business loans. They buy patents, radio spectrums, copyrights, and trademarks. They bribe governments. So both issues need to be tackled together. The land and money issues intersect at one point – mortgages. So it is on this we should focus. The booms and busts are now escalating and we have had huge property bubbles and bank ponzi schemes, which must now unravel over the next decade. Every few years there will be a property bubble followed by a banking, monetary and sovereign debt crisis. Both monetary reformists and Georgists have claimed that the Global Financial Crisis, whose effects will be felt for decades, was due to their issue. It is not either/or; it is both/and. We need monetary reform and public capture of the rent on land. After decades of exponential growth interrupted by occasional corrections acting as a brake, now we are in a situation where the brakes are going to be on much of the time. 1. Since 1999 land prices have been left out of the basket of goods used to measure the CPI. Yet house prices grew an average of 4.9% a year to 2011 from 1992, while in a period of steep rises like 2002 to 2007 they rose 12.6% a year! Section prices tripled in the fifteen years to 2007. If we had a more valid measure of inflation, interest rates would have been much higher and people would have suffered much more. So since 1999 we have been sheltered by a statistical anomaly. 2. Rising land prices are a consequence of the inflation of the money supply and diminishing land prices are a consequence of the deflation of the money supply. On a rising property market banks create more money in the form of debt money, the money supply increases, while on a falling property market, banks create less debt-money in loans and the money supply decreases. 3. With inflation it gets easier and easier to buy property over time for those already on the property ladder and with deflation the opposite is true. Much of the motivation/imperative to buy a house for the past thirty years has been to exploit the inflation of the money supply. As the money supply expands, the real size of the mortgage shrinks so it gets easier to pay off. As the money supply declines, the real size of the mortgage increases, making it harder to pay off. So don’t have a mortgage in a deflationary period. Shrewd property owners seeing a crash coming will sell up, keep cash and are in a position to buy up cheap land at the end of the crash. That is what happened in the Great Depression. With deflation, even though prices are falling there is not enough money in the system for buyers to afford houses. Wages are lower and purchasing power is less. No graph created by a statistician should ever have to correct for inflation or deflation, because there shouldn’t be any. We are already at the beginning of a long depression unless something drastic is done. Otherwise we just career along in the same faulty vehicle along the same downward path. The Global Financial Crisis is going to take a long time to unwind. We need to stabilise land values, inject liquidity and protect ourselves from being dependent on a monoculture currency when the money supply is constantly shrinking. Proposal for issuing Rates Vouchers using a Contract to pay an ongoing Land Levy: To balance the ‘patriarchal’ monoculture of bank issued interest-bearing debt currency we need to have a series of ‘matrifocal’ smaller currencies issued with a circulation incentive. The proposal is to let Councils issue Rates Vouchers. This new money is designed to decay not increase in value. In order to link the new money to the value of the land we propose the Council contract with would-be property owners to give them newly created Rates Vouchers, (valid for payment of rates) to buy their land. In exchange the landowner creates a land covenant requiring the landowner to pay a regular sum to Council, this sum to be a little less than what they would have paid in mortgage on the land value and rates together. It would be paid partly in Rates Vouchers and partly in NZ dollars, (the rate to be determined, being aware that to pay the NZ dollar component becomes progressively harder over time). In effect the Council gradually buys up the land but the guardianship and responsibility remains with the owner and the title is burdened. The Land Levy is ongoing. It is not a mortgage that eventually gets paid off. Land Rental Index Would the payment be linked to inflation? No. 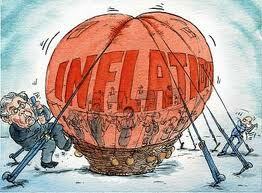 Inflation is linked to interest rates, which assume a one-size-fits-all situation for the whole country. Land isn’t like that. Some sites are more desirable than others. The payment would be linked to a Land Rental Index. This is an index of averaged land rental values for a geographical zone over time. Land rental values are much more stable over time than are interest rates. Be clear this isn’t a land price index. Speculation in land drives prices up but doesn’t drive rentals up. It is the rental value that is important. And as land prices come down, the rentals remain much the same. Land keeps its intrinsic value over time. So what is a land rental value? It is the value of the weekly rent on the property less the cost of the improvements expressed as a weekly figure. See what landlords are charging, subtract out the costs of improvements. Then you have got a land rental value for that property. I rent it for $600 a week and it has a building worth $200 a week then the land is worth $400 a week. Do this calculation of land rentals or a convenient sample and then take the average change year on year. The value of the improvements goes up when it there is investment in improvements. Because it is an index of the land rental value over time, it doesn’t vary much. Only sudden catastrophic events like land subsidence or an earthquake will change the land rental value dramatically. It could drop away to zero. When a major new service like a rail link arrives, the land rental rises. So you pay what it is worth. So what if my property is constantly overvalued? Personal gripes won’t matter too much because consistent overvaluation or undervaluation doesn't affect the movement of the index. People need only to watch how the index moves. With Land Levies you pay what the land is worth until it is gone and then stop paying it if the land is useless, as when a house falls into the sea. It might make sense to have an index for residential rentals and one for commercial, so you can take into account different permitted land uses – residential, retail, agricultural and industrial uses and distance from services. There might be 10 different regions and within that 100 different zones, making 1000 zones for the country. The land rental index would be much the same over any small town but there might be many zones in a city like Auckland. The regular payments or levies paid will vary according to the local land value index. An index might go down as in the case of eastern Christchurch suburbs after earthquakes, or up, as in the 1986 case of when Waiheke Island got its fast ferry. Overall a land rental index is more stable than interest rates. Whereas an interest rise from 5% to 6% is actually a 20% rise in mortgages, a land index is more likely to change by less than half a percent per year. 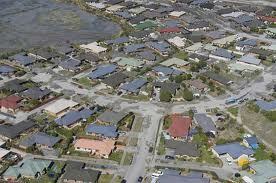 In the case of Christchurch some suburbs after the earthquakes were deemed Red Zone, or uninhabitable. The land value effectively dropped to zero so the payments would drop to zero too. But when there was a drop in property prices as happened from 2007 to 2011, then the land value index would drop and the payments would drop. Rather than having their home repossessed by banks if they got into financial trouble, property owners would just have lower payment to make to councils. Wouldn’t the Council then own the land? No. The fact that the contract gave money up to the value of the land does not change the ownership of the land, but the required Land Levy is included in the title as an encumbrance – a big one. It would be enough to drop the price of the property dramatically and make it more affordable. Because the encumbrance is on the title, the ‘owner’ then effectively becomes the guardian of the land or ‘kaitiaki o whenua’, as it should be. The owners are fully responsible for what happens there. This is an opt-in scheme where would-be homebuyers can contract with local government to covenant their land with a financial obligation, an agreement to pay a regular sum to council in exchange for the Council giving them a lump sum to pay for their land. At this stage the Council is exempting them from all land related like rates and other charges. The sum paid will be negotiated case by case according to legislative guidelines and be, say, the amount they would have paid in mortgage interest on the land together with the rates, minus say 10-15% or it may be up to 20%, depending on the land use. Legislation may be required. This scheme would require legislation to amend the Land Transfer Act to clarify or reintroduce a provision for a ‘rentcharge’ in a ‘Memorandum of Encumbrance against the Title’. This has been used in the past, with perpetual rentcharges. There will also be legislation needed to specify what purchasers could expect from councils and what land levy must be paid. A land index must be created in law. The penalties for noncompliance must be spelt out in law. The Reserve Bank Act will also have to be amended to allow for local currencies and for the establishment of a bank dealing in local authority currencies. There are possibly other Acts that may require amending like the Securities Act and the Local Government Act. So what is a covenant? There is a provision in property law that allows land to be covenanted, or subject to a solemn promise. It is an agreement often between adjoining landowners to do something (affirmative covenant) or to refrain from doing something (restrictive covenant) with relation to the land. An example of an affirmative covenant is a promise to build a fence, while an example of a restrictive covenant is a promise not to develop land for commercial use. Each covenant has two sides: the burden and the benefit. The burden is the promissor's duty to perform the promise and the benefit is the promissee's right to enforce the promise. These covenants ‘run with the land’, which means that subsequent owners of that land must honour the covenant. The title becomes burdened. How will a Rates Voucher work? The Rates Voucher is a promise by the local government to accept the note for the payment of rates. If it were a note the Mayor and Treasurer would sign it. This is done interest-free at almost zero cost to local government. On the note would be printed the words “This note is valid for the payment of rates to Wellington City Council” or something similar. And ultimately they must be acceptable for the payment of rates. The incentive for circulation is dealt with not by a negative interest rate, but by making the note redeemable on a certain fixed date. This will be further explained later. But how would you guard against inflation or deflation of the currency? If there is too much local currency in circulation it will become gradually less trusted. People will go back to the national dollar. The rationale for having a local currency backed by a promise to accept it for rates is to create the conditions for people to trust it and accept it. Therefore there has to be careful management of the amount of currency in circulation. Since councils have to buy petrol, machinery and other things that can only be bought using national currency, each council would have to decide what proportion of the rates bill would be billed in the local currency. It may be 33% for instance. 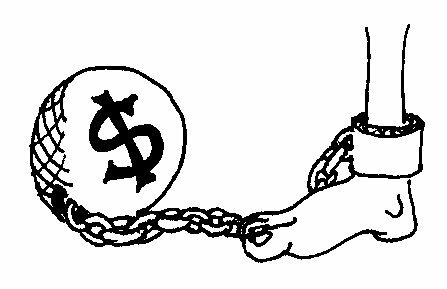 If there are too many local dollars out there, the council will not be able to accept them all. So how would it work out? A council that collects $120 million in rates a year might issue just $40 million in local currency annually and these would be issued with an expiry date. The object is to design it to be a ‘use it or lose it’ currency, just like Flybuys or the tickets you buy for a concert or a game of rugby or a plane trip. If you don’t present your ticket on that date, it is no good trying to present it once the concert, rugby game or plane trip has been and gone. Because they know the size of their rates take, each council knows how much to issue. Although most Councils allow for rates to be paid quarterly, an annual system would be better. The currency could start by being issued on 1 Feb 2013 and redeemed on 1 Feb 2015, two years later. They may decide to issue $40 million in local currency. The next year they do the same, issuing them on 1 Feb 2014, making them due on 1 Feb 2016. So there there is an overlap and two sets are in circulation simultaneously. Paying for the land for a couple of dairy farms in Southland might take up all their allotted issuance for three months. But if sections are worth $200,000 each the Council could pay for 50 sections every three months. That is a fair bit. If the sections are worth $400,000 each then they could only cover 25 sections every three months. So if we know how much local money is out there we know that the Council can and must accept it all for rates and everyone will be happy. Some people won’t cash up their local dollars on time, just as some people will miss the plane. There has to be a mechanism to deal with those who inadvertently forgot to present their tickets in time. And of course the Council itself trades in local currency for its licences, resource consents and pays some of its wages in Rates Vouchers. Now let’s examine why there would be an incentive to use them or lose them. When they are issued people have two years to cash in the notes. As time goes on and the deadline looms, there will be less of a demand for the notes. Users would prefer the most recently issued notes, so those notes are worth more. In time, holders will take their old notes to the bank and change them at a loss for new notes and the bank manages the exchange rate. There will obviously be tweaks to the system as it starts to operate. The fraction of 33% might be adjusted up or down. The Council might find they need to issue the rates vouchers with a closer expiry date, which would cause them to circulate more quickly. The notes would be more of a hot potato and everyone would feel the urge to pass it on quickly. Like Cinderella the notes will turn into a pumpkin at midnight and will no longer be a princess. Or the notes might need to be issued with their redemption date further away, so they don’t circulate so fast. There will be a trial and error period until a pattern is set. There is no interest on each period's currency. Like gold, it is inert. It has no "ownership value", pays no interest. The currency sits in someone's account until it is redeemed. But the value of the earlier notes declines over time. A system with rather a similar circulation incentive operated in Europe between the years 1040 and 1280. The local lord issued the local currency in coins, and the practice was that this currency would have to be handed in when the lord died and there would be recoinage. But it was common to hand in four coins and receive only three, an equivalent of a 25% tax. Nobody knew when the lord would die so people spent them as fast as they could and the result was those magnificent European cathedrals. 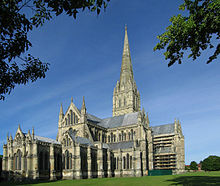 These were to provide the town with pilgrim and tourist income for many centuries. People spent a lot of time on maintenance of their ovens, winepresses, mills and heavy equipment. There were variations between districts, just as there will be between different councils. So there is the paradox. Money that decays in value can actually result in long-term thinking and long term investment. The period was one in which rents were paid on land, which of course was all owned by the lord of the land, or landlord. There are several other prosperous and equitable periods in history where there is both a rent on land and a dual money system operating. Both are needed. There would have to be a Local Government owned bank. Since we are in a digital age, everyone needs a bank account and that means a special bank is needed to deal with local money. Everyone who uses Rates Vouchers would open an account, and the Council would pay the administration fees. As the new currency is designed to decay not attract interest there is no bank income. The bank would be able to lend out to locally owned businesses and of course would be there for loans on houses. These are not mortgages, but loans. If the bank lent out $250,000 for house building it would eventually be repaid $250,000. In discussing rates below we need to bear in mind that the New Zealand situation is that most councils these days have a mixture of fixed annual charges, together with charges based on either unimproved land value or on capital value. The general trend appears to be towards capital values with a higher and higher proportion being fixed annual charges. However all this is irrelevant because we are only concerned with the unimproved value of the land now. The proposal has the effect of increasing the council revenue to so much that all those complexities become unnecessary. But Councils still have to retain a right to charge for anything they want to minimise like water use and rubbish. First we have to ask in what currency or currencies the levies are to be paid. This important topic requires considerable discussion. Without claiming to reach an answer I offer the following seven examples. I have taken a discount of 20% for all except rural properties distant from services, where I have arbitrarily put the discount is 50%. It may even be wrong to value rural properties as a single group. Maybe there should be an index based on distance from services so that land just outside a city or town is valued much the same as those within the boundary. It is properties like these which cause problems, such as when we lump all rural properties together for rating purposes just because they don’t have sewerage or water services. 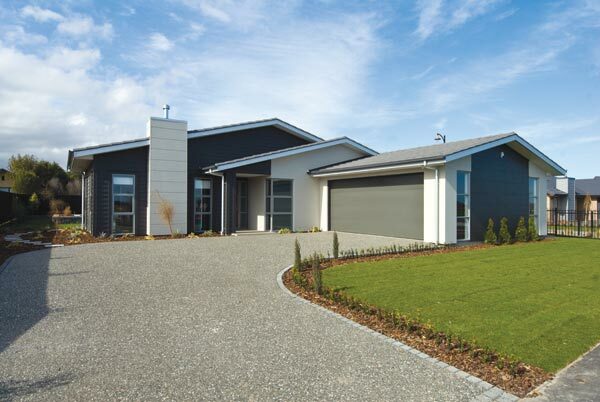 A couple in Otaki wanted to buy a section for $127,000. The rates on the land are $800 a year. If they were to get a mortgage of $127,000 at 6.9% they would have to pay $8723 a year in interest. The total land associated outgoings would be $9723 a year. The couple then enters into a contract with the council to receive the $127,000 they needed in Rates Vouchers, and in exchange there are no further rates obligations. But in the covenant they agree to pay Council, say, $8094 a year from then on. The council could charge them for water and sewerage. Suppose they then spent $450,000 building a house. The price of their house when they came to sell it would represent anything they put into it less depreciation. A 419 sq m section in North Epsom, Auckland, in the zone of many elite schools and within walking distance from Mt Eden village is on the market for $740,000 and its rates are a mere $1200 a year. New purchasers could go to Auckland Council for a contract where they agreed to receive Auckland dollars to buy the section in return for a hefty regular payment to Council. At 6.9% mortgage the land-associated mortgage component would have been $51,060 and their total land associated costs would be $52,260. At 20% discount they would pay $41,808. At 10% discount it would be $47,034. A family wanted to buy a rural property worth $900,000 of which the land value was $700,000 and the rates were $1500 a year. They would have paid 6.9% interest on their mortgage of $48,300 to the bank. Outgoings would total $49,800. The Council created $700,000 of Rates Vouchers in exchange for a Land Levy of $39,840 a year. This is 20% less than they would have paid in rates and to the bank. A couple in Auckland is buying a house in Mt Albert for $700,000. The land value was $420,000. The bank would have given them a mortgage at 6.9% so the land component of this would have cost them $28,980 and their rates were $4200 a year, a total of $33,180 a year. Their land levy was negotiated to be $26,544 or 20% lower than [banks plus rates]. Example 5. A Turangi section was on the market for $60,000 and the bank payments would be $4140 a year, rates $800 a total of $4940. A discount of 20% would bring it down to $3312 a year. 1.86ha coastal residential land with further subdivisions available is for sale at Kerikeri for $1,200,000. Rates are $2430. Current outgoings would have been $85,230 at 6.9%. Discount at 30% would be $57,000 a year, at 20% $68,184 for the land levy. A do-up home in Greerton, Tauranga is on the market for $249,000. Its land value is $146,000 and its rates are $1700. Total outgoings would have been $11,774. A 20% discounted Land levy is $9419. The covenanted properties, being financially ‘burdened’, would then have a very much lower market value. With dropping house prices this arrangement would benefit would-be first homebuyers. According to the Productivity Commission (Dec 2011) land values are typically 60% for most Auckland, North Shore and Queenstown homes and even more for older homes in big cities, so the covenanting process would actually drop the price of the property by a whopping 60%. But the landowner would in exchange be relieved from all land related taxes – rates. And very soon, when the local government issues a Citizen’s Dividend, landowners would get other financial benefits (more about Citizens Dividend later). While the property value would drop dramatically, the landowner would still have the same or slightly more equity and so would not be disadvantaged. In fact they could be considerably advantaged, because there is a larger market in the group of buyers for cheaper properties. This paper is advocating a switch to Land Levies on a plot-by-plot basis, exchanging the new levy for removal of the old burdens. The country can then move gradually and smoothly to a fairer system. It does this by the accumulated benefits of a growing number of individual actions. Vendors when offered part payment in local dollars may be puzzled. What would they do with it? They might want to buy a house in the same area, so could offer part payment in local dollars. This chain would continue until it encounters a vendor that doesn’t want to buy a house at all. The first challenge has arisen. Who will accept this new currency? It is a fair chunk of money to spend and what is more there is an imperative to get rid of it fairly quickly. Of course the Rates Vouchers will be useful in paying rates but it is unlikely they would all be used for this or even for buying goods and labour within the district. It is most likely they would be used as an investment. But how? They may have another house in the district and want to build on a flat to rent out. Or they might have mortgaged their home to pay for their business development. They find that instead of paying national dollars to pay their employee, they could pay them partly in local dollars. Or they could lease land and plant trees for timber or firewood or pay for anything that required local labour. Because of the circulation incentive they have to spend it before a certain time elapses or it would decay in value. And how would their employees spend their Rates Vouchers? At the start Council and community leaders would have a responsibility to encourage local businesses to accept the currency. For example supermarkets may accept, say, 10-15% of their takings in local currency, and big local businesses might accept a larger proportion. Builders and tradespeople could accept part of their payments in rates vouchers, local markets could encourage use of the local currency, and Main Street businesses could pay part of their labour costs. 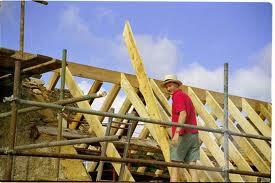 With no disincentive for doing up houses, the local builders will have heaps of work. Homeowners know it not going to increase their rates. So home repairs start happening. With more liquidity in the system farm labour would now be affordable, bringing considerable benefit to the rural sector, especially in labour intensive organic farms. Farmers could pay out Rates Vouchers as part of their wages to fencers, shearers, labourers etc. The arts would also thrive. People might want to commission substantial works of art from local artists. Farms, where the land value is the major portion of the total value, will also become more affordable. In effect the land has been removed from the market economy and the farmer is buying the improvements only. One generation can easily pass the farm to the next because they are only bequeathing their improvements. However the family knowledge of the land is passed on and the land benefits from this knowledge. With Land Levies there will be an incentive to build upwards and thus earn more off their location, especially if a blanket zoning of 2 stories is added (this will have to happen soon in a climate ravaged future) to locations within, say, 7 kms of a CBD in the major cities of the world. Thus there will be more rental accommodation and downward pressure on prices. As holders of local currency have to pay insurance and power in national dollars, it would put pressure on the local economy to start a local insurance company and have a locally owned power company. With a penalty for hoarding everyone would have an interest in persuading others to accept it. The faster it circulates the more good it will do for the local economy. Struggling locally owned stores would no longer have to sell up and be replaced by stores selling cheap Asian goods and Australasian chain stores. Kapiti Lights shopping centre would benefit, as would Paekakariki and Otaki village. More local dairies will spring up again. Best of all, manufacturing would re-emerge to add value to local produce and local materials. But this time it is manufacturing with a dramatically lower carbon footprint. At last we move to a low carbon economy with an incentive for import substitution. Effects on revenue of local and national governments and a local Citizen’s Dividend. As more and more people opted into the Land Levy scheme councils will notice their revenue rising. Some landowners are paying four to twenty times what they were paying before and this soon mounts up. It is revenue the Council never dreamt of. It is public revenue. So a proportion of it should immediately be distributed as a Citizen’s Dividend to residents, giving each local citizen a cash handout to spend in the local economy. The actual process would most easily be accomplished through channelling the local currency through the Inland Revenue Department, which has a record of all the citizens in the local authority area. Are there precedents for this? Yes, in 1951 when the wool price was high the NZ Government distributed a small dividend to all families and pensioners. Government will notice a thriving local economy with a drop in unemployment and new business development. They will look on with envy. The local MP will notice. However the central government’s revenue is still unaffected. In fact Treasury may notice that some residents in that local authority area are avoiding some of their income tax or not paying GST. It gives local authorities a bargaining tool. Suddenly they have some bargaining power with Central Government. 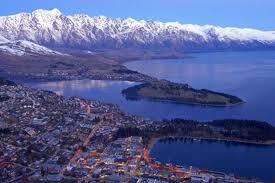 Healthy local economies are not the be all and end all, for in a healthy New Zealand economy every part must thrive. An organ can’t be healthy unless the whole body is healthy. The banks meanwhile are at their wits end. It is a PR nightmare they had dreaded. Here are all these citizens delighted with their local authorities and having sufficient income to pay their essential bills. They notice that the Citizen’s Dividend is proving highly popular and no one wants to go back to the old system. The banks will start to pressure government to stop this madness. But if several local authorities are finding that their local economies are regenerating fast and their citizens are happier, then there are now several MPs who will oppose any move to change a law. That is why it is better to do it at local authority level first before at national level. Grassroots movements well planned can all always overcome the power of centrally owned corporates. There would be just too many fires for the banks to put out all at once and they give up because they can no longer influence public opinion. Because homeowners are not having to take a mortgage for land and dwellings but just for dwellings, the nation’s private debt declines at last. Simply shrinking the nation's mortgage debt would be a massive economic stabiliser, because the household sector wouldn't be vulnerable to ‘pumping and dumping’ from interest rate variations. Stabilising land and property values will be of benefit to everyone. Many will argue that it wouldn’t work or maybe they oppose it on other grounds – these people can just stay out and watch. However they certainly won’t mind receiving their Citizens Dividend. Because the local Rates Voucher creation occurs only when buyers want to buy land, property owners who have paid off their mortgage won’t opt in. For those who are sick, frail or just tired and feeling old, they can just stay out. No problem. However if homeowners have good earning power and energy they could benefit greatly from this scheme. But when the elderly moved out or died and the house was sold the land might finally become covenanted. Those who have land used partly for the public purposes like historic buildings, conservation land can either refrain or negotiate a lower Land Levy. Farmers, who traditionally object to land value taxes, can see their payments drop and those who want to farm will be able to buy without a huge mortgage. The lump sum would be paid in Rates Vouchers, possibly in electronic form at settlement date to the vendor, who would either use it to buy a new home or to spend in the local economy. This is proposed for those who wish to get the balance of their house payment, not from the banks, but from local government in local money. It will only work for willing vendors. You can’t be in breach of the contract. Is it appropriate for Maori? The huge opportunity here is how to maximise the inclusivity and mass appeal of this proposal. In this respect, in principle such a proposal (or an appropriate variation of it) represents the potential to benefit a significant Māori population, and we would do well to consider a specific strategy to engage whānau (Māori families), hapū (Māori sub-tribes) and iwi (Māori tribes) in the design, delivery/ implementation, monitoring and evaluation of it. More socially-responsible land 'management' and 'guardianship' schemes are not new to Māori or other indigenous peoples for that matter (I say 'management' and 'guardianship' because Māori traditionally have no concept of land 'ownership'. Rather, it would be more appropriate to conceptualise the land 'owning' the people). However, a question to be answered is, in rural areas especially, much land is already Māori-'owned' (in a Western sense): so how might land-'owning' Māori 'opt into' such a scheme? While many Māori may be 'land rich', they are often 'poor' in their ability to utilise it. This is in part a reflection of the relationship tension that exists between Councils, and Māori (who perceive they gain no infrastructure value for rates imposed on them). This underlying relationship dysfunction will need to be addressed before sufficient Māori trust can be restored to opt into a scheme administered by Councils. If not, the proposal is likely to be perceived by Māori as inherently risky, thereby alienating a significant sector of the community for whom such a mechanism is actually meant to be working for. " Small business would benefit once the Government has sufficient revenue to discontinue GST & company tax. 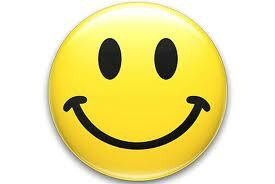 Small business is crying out for someone to support them and for a stable monetary system. They don’t want the country’s investment finance going into property. Political parties with Land Levies as a policy would find this to be a wedge issue no other party has the ability to deal with. Small businesses that deal in locally sourced materials would have a major advantage. Perhaps it would be wise to trial the scheme on a small scale before rapid expansion. The trial could occur in many different ways. The goal is to give enough of a financial "nudge" to encourage people to join the scheme at a prudent rate. There would be no shortage of potential interest, given the extent of mortgage indebtedness. You could trial it by placing a limit to the monthly payment under the Land Levy would be a good place to start – perhaps just do rates plus $100,000 of debt. You could trial a scheme in many different ways. It would test for all the potential hazards, maybe just by contracting with those with bare land. So would people with mortgage free homes go out and buy a cheap one with a mortgage so they can benefit? No. They end up with a second house and this new one has covenant requiring a high land levy and their equity won't go up in that house as a result. Moreover they would have to pay real estate fees to liquidise their gain. There is no incentive to dive into a scheme at fair value. • Firstly, their tenants' businesses would be less likely to fail or worker tenants to lose their jobs because of the state of the economy – land levies are a stabilising influence. • Second, it is not proposed to bring in Capital Gains Tax. This ties up land, people don’t sell, and they just wait for a change in government and lobby against the tax. • Thirdly, upgrading homes would become more affordable because when central government gets in on the act too, company tax income tax and GST would be reduced significantly. • Fourthly, the asset values of the properties would be more stable because people wouldn't be borrowing at fluctuating interest rates with fluctuating money availability. Landlords wouldn't be prey to banks changing their interest rates at the worst possible moment, nor a sudden drop in prices. So their businesses would be at significantly lower risk - eliminating the speculative aspect. As a local area fluctuated in desirability, they would be insulated from price fluctuations because land values would tend to move with rents charged. However they would have to work as a landlord, which is fair. They would have a strong incentive to do up their houses, bringing in better returns. As rates and insurance on properties rise, there is pressure on low-income earners to sell their homes and rent or move further out. But if a proportion of their rates can be paid in local currency it will take pressure off. And besides, with the local money circulating in the district, they have more hope for their future employment security. And when the community starts its own insurance company at least the price of the insurance won’t be so exorbitant. The Reserve Bank Act does not prohibit the issuing of electronic money, only of Notes. So Rates Vouchers would have to be done electronically. 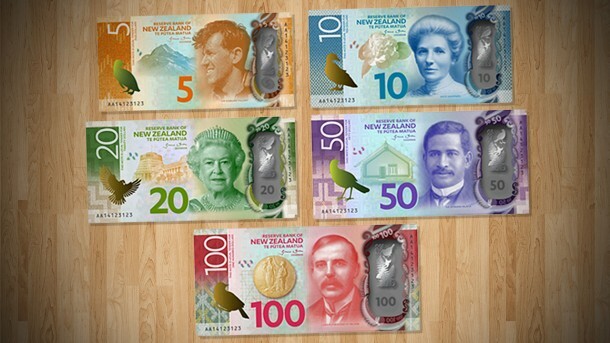 Like Kiwibank’s Loaded Cards the Council owned bank could issue its own card with chips on which to load national currency and local currency. Because it doesn't have a "big bang" introduction where everybody is forced into a new system, the potential for chaos is greatly diminished. By using contract law, it helps protect it from political meddling. Because the negotiating principles are enshrined in law, the details can be written as regulations, which can be regularly reviewed. So the teething problems are ironed out. What happens if our council goes out of existence and ends up as part of a super council? Sovereignty and nationhood is generally closely associated with the right to issue your own currency. Is a local authority like the Kapiti Coast District Council a sovereign entity? What if it was to become part of the Wellington Supercity? Provisions for this would have to be enshrined in law and this deserves further discussion. We can stabilise land values, reduce our indebtedness, make banks safer, help small and medium sized businesses, even out rises and falls in property prices, help prevent inflation or deflation, move to a low carbon economy, make it much easier for people to buy their first home, and reduce poverty – all by the same simple action repeated thousands of times. Moreover we have now maximised the chance for resilience in the face of threat by moving away from a monopoly currency which, together with poor tax policies, has caused so many monetary, sovereign debt and bank crises. The local authority solution is easiest because local authorities already have their revenue tied to property value. This moves it to revenue tied to land rental value. Several birds are killed with one stone. The monetary and land issues are all dealt with together and the bonus is more wealth equality and a genuine start to environmental healing. If appropriate engagement of Maori is managed so that they trust councils more, local authorities that adopt this policy will be oases of prosperity and happiness in a time of high unemployment and misery. It might sound too good to be true but this proposal does exactly that. The more it is implemented the more it will do all these things. Since all of our strategies have to be against the background of a very unstable and volatile financial and political landscape – not to mention climatic, there will be an urgency to implement policies like this. There will be many bumps on the way. Deirdre Kent April, 2012, Otaki, New Zealand ph 06 364 7779 or 021 728 852. She has been in and out of green politics since the Values Party in 1975. The author of Healthy Money Healthy Planet – Developing Sustainability through New Money Systems, 2005, she co-founded and worked for Otaki Transition Town and Otaki Timebank. In late 2011 she co-founded the New Economics Party http://neweconomics.net.nz and wrote its website. All comments, suggestions, information please contact the author at deirdrekent@me.com. Her ideas are developed from conversations with Adrian Wrigley of http://systemicfiscalreform.com to whom she is deeply indebted. The two paragraphs on Maori have been written by Catherine Davis.